New West German Models and Wargames Illustrated 347! Posted: Thu Sep 01, 2016 2:59 am Post subject: New West German Models and Wargames Illustrated 347! Fresh from our latest Battlefront shipment, we've got a metric ton of new Team Yankee West German models and accessories along with new Flames of War supplements and the latest issue of Wargames Illustrated! New models include the West German Tornado Strike Flight, PAH Anti-Tank Helicopter Flight, and Jaguar Jagdpanzer Zug for Team Yankee, and the Japanese Nikuhaku Teams and U.S. LVT(4) Amtrac Section for Flames of War. There's also a new West German Salvo Template, two new hardcover Flames of War supplements (Bridge by Bridge and Market Garden), and Wargames Illustrated issue 347. 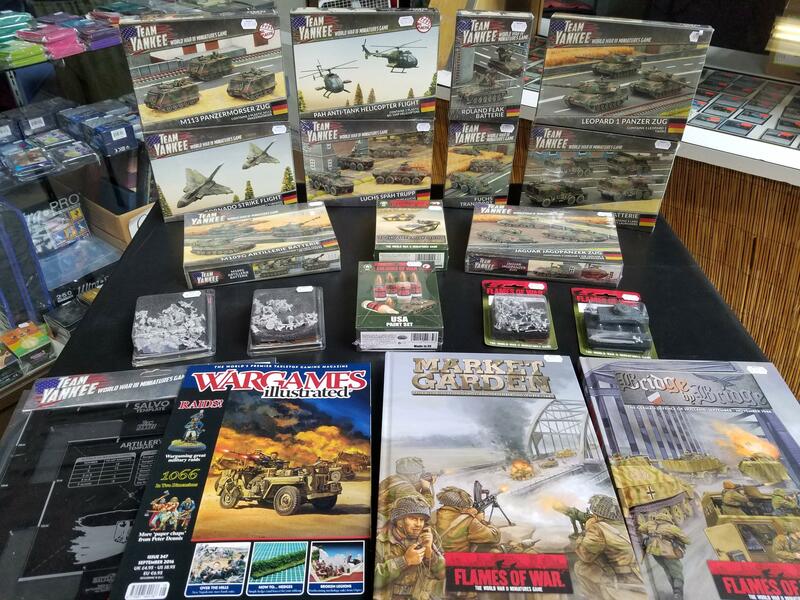 Stop by the store to check out all the latest Team Yankee and Flames of War stuff!